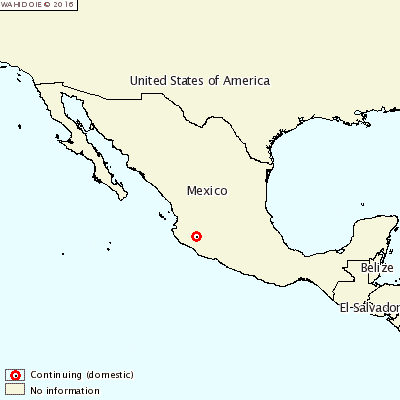 MEXICO - A new outbreak of Highly pathogenic avian influenza (HPAI) has been reported in Mexico. The H7N3 strain of the flu was discovered at a commercial layers farm in Sayula, Jalisco. In total, of the 151,000 birds susceptible, 15 cases were reported.